Last October (2013), Malaysian government announced that the GST (Good Service Tax) would be implemented in April 2015, it has been set that businesses with taxable turnover exceeding RM 500,000 would be required to register with the Royal Malaysian Customs Department for GST. Nevertheless, despite its hype and excitement, the GST bill 2009 is not yet finalized. According to Baker & Mckenzie, the bill remains in a draft form and is still subject to further amendments and debate in Parliament. 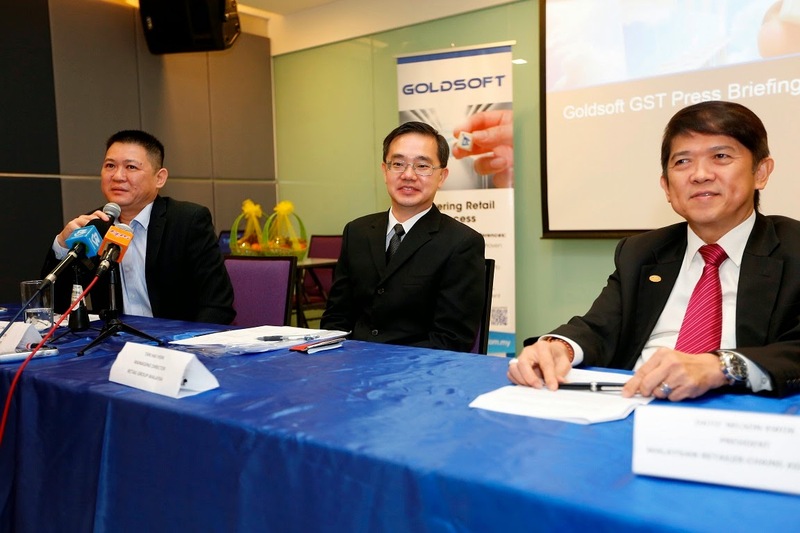 During the GST briefing by GoldSoft (accounting software vendor) hosted by MRCA (Malaysia Retail Chain Association) on 13-Mar-2014, its incumbent President, Dato' Nelson Kwok urged Malaysian government to hasten its effort to table the proposed GST bill soonest and to confirm all rules and regulation. Dato' Nelson applaused the efforts made by Malaysian government to bring forward the implementation of GST amidst economical and social-political instability of the country. The GST is not something new, to date, 160 counties have implemented it. It is less susceptible to economic fluctuations as compared to current taxation system which is estimated that taxpayers only consist of 10% of the population. It will also enable retail busiensses to adopt global economy strategy by striving to participate in exported goods and services business activities - which are GST exempted. Some sources mentioned that the GST will be implemented at the rate of 6%, some say 4%; The GST rate was announced as 6%. Mr. Alex LIm, Executive Director, GoldSoft explained that in order to meet the deadline of April 2015, all parties would have to expedite. Alex Lim stressed that having the right knowledge about GST is important for everybody, not just to the accounting and finance department. Whilst there are many training providers actively organizing paid seminars around the country, people can also leverage on the free seminars provided by the Royal Malaysian Customs Department, information is available from the official web site. To start with, businesses who are eligible for GST must act now, to those not yet implemented accounting system, do it now!!! GoldSoft provides accounting software that targets the retail, trading and distribution industry, focusing on medium to high range market segment. As at week 3 of Mar 2014, Goldsoft was certified by custom department Malaysia for Malaysia subsidized GST vendor. Generate GST 03 - goods and services tax return form. Alex Lim advised businesses to start implement GST compliance now and to perform simulation not latest by Oct 2014. To those who are still at ground zero, please consult a tax consultant immediately. Failure to comply with GST implementation will result in hefty penalty and disruption to cash flows because of inputs tax burden.